By buying this product you can collect up to 18 points. Your cart will total 18 points that can be converted into a voucher of £0.18. The Pop! Vinyl figure comes in a displayable window boxes! Each figure stands approx. 9 cm tall. Protective PET case for Funko POP! Sideshow in partnership with Legacy Effects is proud to present the definitive, Baby Groot Maquette. Sprouting right from the work of the filmmakers, this maquette is sure to command attention in any setting, from dangerous battles to your very own Marvel display. Excl. 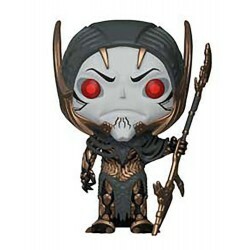 to Amazon The Pop! Vinyl figure comes in a displayable window boxes! Each figure stands approx. 9 cm tall. Excl. to Walmart The Pop! Vinyl figure comes in a displayable window box! It stands approx. 9 cm tall. Excl. to Hot Topic Each figure stands 3 inches tall and are super-cute with wonderful paint applications. Each figure comes in a window box with see-through panels both front and back. Sideshow and Hot Toys are delighted to present the sixth scale collectible set of Groot and Rocket from Marvel's film Avengers: Infinity War. Don't pass up on a chance to grab the Marvel's galactic inseparable duo Rocket and Groot collectible set to expand your Avengers: Infinity War collection! MORE MARVEL COMICS STATUES AND FIGURES. Sideshow and Iron Studios are proud to present the Punisher Legacy Replica. This quarter scale statue stands approximately 28 inches tall and features two heads, interchangeable hands with weapons, and a base with magnets to attach empty cartridges from the firearms. Sideshow Collectibles and Hot Toys are very excited to present the new Artist Mix Collection series! Hot Toys will collaborate with different artists and designers from various spectrums to re-imagine movie characters in a special art form with unique style. Sideshow and Hot Toys are proud to present the latest Black Panther sixth scale collectible figure! For the first time ever, Hot Toys has incorporated insanely detailed luminous reflective patterns into the costume to re-create this extraordinary new Panther Habit suit with mystical elements under specialized LED lighting exposures. The plume of exhaust from this Marvel superhero's jetpack glows orange as it lights up (batteries included) in this Q-Fig FX diorama. The half-human, half-Celestial also known as Peter Quill wears a special mask that enables him to survive in outer space. He's heavily armed and spoilling for a fight! Excl. to Toys R Us (San Diego Comic Con) The Pop! Vinyl figure comes in a displayable window box! It stands approx. 9 cm tall. This Marvel's Spider-Man Spider-Punk Suit Collectible figure is definitely going to be a cool and unique addition to your marvelous collection! Straight from the Marvel Blockbuster "Avengers: Infinity War" comes this 1/10th scale statue! The Polystone statue stands approx. 35 cm tall and comes with matching diorama base. Excl. to LA Comic Con The Pop! Vinyl figure comes in a displayable window box! It stands approx. 9 cm tall. Excl. 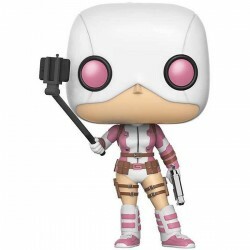 to San Diego Comic Con The Pop! Vinyl figure comes in a displayable window box! It stands approx. 9 cm tall. #395Released 2018Excl. to Halloween ComicFest / Previews From Funko's popular 'POP!' 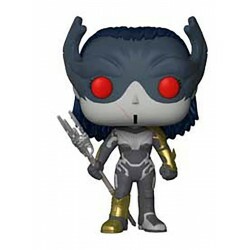 series comes this vinyl figure. Each figure stands approx. 9 cm tall and comes in a window box packaging. Excl. to Walgreens This POP! 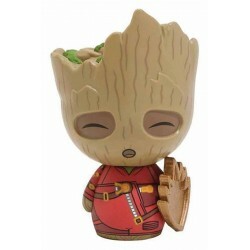 Vinyl figure has a rotating head and comes in a displayable window box! It stands approx. 9 cm tall.